Are you looking for a blog theme? There are many options of best WordPress blog themes 2018 you can use. In this post, I highlight 30 beautiful blog themes from Elegant Themes, which are all unique and highly customizable. THE FUN PART is that when you purchase any one of the themes below you gain access to all other 29 blog themes instantly. Do you know that means you can test all these best WordPress blog themes 2018 one by one in your blog until you find the one you find attractive the most. Therefore, these are the best blog themes because YOU BUY ONE and GET ALL OTHERS FREE. You do not have a blog yet? Begin with this how to start an ultimate blog guide for 2018. Want to know the blogging tools and resources I use on Sproutmentor.com? Find all in this post, the 60 blogging tools and resources I use on my blog. This post may contain affiliate links, read a full Disclosure here. Simplicity: Avoid complex layouts, too many colors and over-complicated navigation architecture. Purpose: Every theme is designed to serve a specific purpose. For example, some are for blogs, others for e-commerce sites, and others for education sites among others. For this reason, choose the theme that matches the purpose of your online business. Responsiveness: The layout of the theme must be adjustable to different screen sizes, such as mobile, desktop and tablet among others. Compatibility: The theme must be compatible with resources in the WordPress ecosystem, such as plugins. Support: Anything can happen, and it does happen. For this reason, choose a theme with a present support team who can help you solve any arising issue. SEO friendliness: Some themes are too heavy or have too many errors in the code such that they will compromise the SEO of your site. Customer Ratings and reviews: Look at the remarks and recommendations other customers have left about the theme. Trustpilot is one of the most extensive review community you can find some of these reviews. Choose based on the test theme result: You can test a theme with several plugins, such as Theme Check before you can use it or use it in a staging environment to see how it performs. The Divi theme is not just a blog theme, but a multipurpose WordPress theme you can use to create any website from scratch with zero coding experience. I loved Divi since the first time I used it on my first blog, and since then I use it on all my blogs and websites including sproutmentor.com. Read 20 reasons why I love the Divi theme here. It ships with the powerful Divi Builder, which makes it one of the best WordPress blog themes 2018. Extra is one of the best WordPress blog themes 2018 because it ships with the powerful drag and drop Divi Builder, which allows creating any website with zero coding experience. It is also a responsive theme. You can also use theme for news sites and electronic magazines or e-commerce websites. Nexus is responsive and attractive, which makes it one of the best WordPress blog themes in 2018. It supports the use of multiple colors and page templates. The team behind this theme actively makes updates regularly to improve its design. It also comes with custom widgets, which are only found on the Extra Theme. People do not love to look for information on a site. Therefore, the easy they can find it, the better. Lucid is one of the best WordPress blog themes 2018 because it will help you to display a lot of content in one page without causing confusion or cluttering obstacles to your readers. It also has a responsive design, which means that the content will still work well in any screen size. I love the design of this theme, and I have used it in several of my client’s blogs. It is one of the best WordPress blog themes 2018 because the three column grid format makes it look just beautiful and aesthetic. It supports the use of bright colors, which makes it perfect for blogs with a feminine taste. Memoir is an option for someone who wants a standard and straightforward theme this is the best WordPress blog themes 2018 for that purpose. Its design is unique, simple and yet standard such that it still maintains its aesthetic appeal. You many areas to display lots of content in the Magnificent theme with the four-column layout and five widgets. It is a simple and responsive theme, which makes it one of the best WordPress blog themes 2018. If you are looking for a simple theme for your blog, the Daily Journal of the unique options you have around. It allows your content to be displayed in a clean and beautiful design, which makes it one of the best WordPress blog themes 2018. Delicate News is a simple WordPress theme you can display various contents without making the site look crampy and messy. It is a responsive theme, which allows you to create a beautiful and unique blog with zero coding experience. The first time I saw the PersonalPress theme I knew I had got a theme for my next blog. It is so simple yet too cute, and I am sure you will love it because it is one of the best WordPress blog themes 2018 around. It is a mixture of both traditional and modern blog designs which makes it fantastic to use in your blogging journey. I love the uniqueness of the Polished theme. Most people would say that it leans mostly to the traditional or old school style of blog layouts, but I disagree because I admire simplicity. The deep black color also blends so well with other elements on the page, which makes me say that it is one of the best WordPress blog themes 2018 you should consider. If you are looking for a theme with bright and flashy colors design here, Glow theme is the best choice for you. It comes with different color variations all suitable for someone looking for a theme with a more feminine design. It has a wide range of customizations, which makes me say that it is one of the best WordPress blog themes 2018 to consider. I love simple WordPress themes, and the Basic theme is one of them. I love how you can easily stick to one color scheme for specific elements with this theme. I also love its unique yet beautiful design, which makes it one of the best WordPress blog themes 2018 you should think of buying. If you love a theme that will allow you to use bold typography and dense textures, then the Bold theme the best option. It supports multiple color schemes, which makes it one of the best WordPress blog theme 2018 because you can customize its features quickly. You will be able to adjust the design of this theme to create a unique blog, which will stand out from the crowd. Are you looking for a theme, which will make your blog to take the layout of a news portal or news website, Who’s Who theme is the best choice around. There are many advantages to such a layout, such as your readers will be able to find information easily. This theme is simple, and it allows you to display lots of content into one section without making your site look too congested. Cion is a theme which mixes a traditional and modern style to its overall design. It also allows you to display lots of content in the many widgets and screen column sections, which makes it one of the best WordPress blog themes 2018. This is a theme with a unique and clean design, which will make your blog look beautiful. It has a responsive design with bright colors, which makes CherryTruffle a WordPress theme to settle for. Deviant is such a unique theme and so beautiful. It will make your blog stand out from the crowd. It comes in 5 different templates and layouts, which are highly customization to any design you want the theme to adhere to. It is packed with great features and a wide variety of color schemes, which are easily customizable making it one of the best WordPress blog themes 2018. Earthly Touch is a theme which will turn your blog into a professional website. 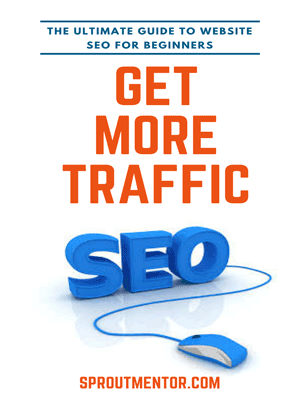 It has a simple and responsive website, which will not put your website visitors away. In case you want your blog to have a magazine layout look, Grungemag is the perfect theme for you. It is suitable for blogs which post too much content, which makes it the best WordPress blog themes in 2018. Influx Is a theme you can easily customize to create any beautiful design out of it. It is simple, which means that your blog posts will be displayed in a beautiful layout. It also mixes a traditional and modern blog design, which makes it unique. I love the StudioBlue theme because it has a unique design. It is one of the best WordPress blog themes 2018, especially for bloggers who love blog themes with a feminine touch, because you can easily customize it with bright colors. This theme is responsive and will look attractive in any device even those with smaller screen sizes. Quadro is a simple theme which makes your blog look professional and attractive at the same time. It has a wide range of customizations, which means that you can adjust it to adhere to any design. LightBright is a unique theme, which will make your blog unique out of many others in the market. It is highly customizable, and you can make it appear more beautiful and attractive. You can always adjust the background color to a more bright color if you wish to increase its aesthetic appeal. NoteBook is a theme, which will help you to create content in a wide variety of formats: text, video, audio and graphics among others. The theme is unique, and you can easily customize it to any design you wish. Origin is a theme which supports the use of different content formats especially multimedia and graphics. It is one of the best WordPress blog themes 2018 for photography and video bloggers. Bloggers in other niches can also use it when they want to get an attractive and engaging blog design. Sky is a theme with a unique design, which will make your blog to stand out from the crowd. I love it because it is responsive and highly customizable. TidalForce is a theme which comes with a wide range of customizations you can use to adjust the design, look and feel of this theme. The theme will give your blog a simple, professional and beautiful look, which will attract more customers. PureType is one of the best WordPress blog themes 2018 that will give your blog a simple look and feel. It is responsive and combines a traditional and modern blog design, which will make your blog to stand out from the crowd. InterPhase is a WordPress theme which will make your blog to look attractive, simple and unique. The theme has a wide range of customizations you can adjust to make your blog look attractive. 10 Things to do immediately after installing WordPress. 10 WordPress plugins I cannot live without in my blog.